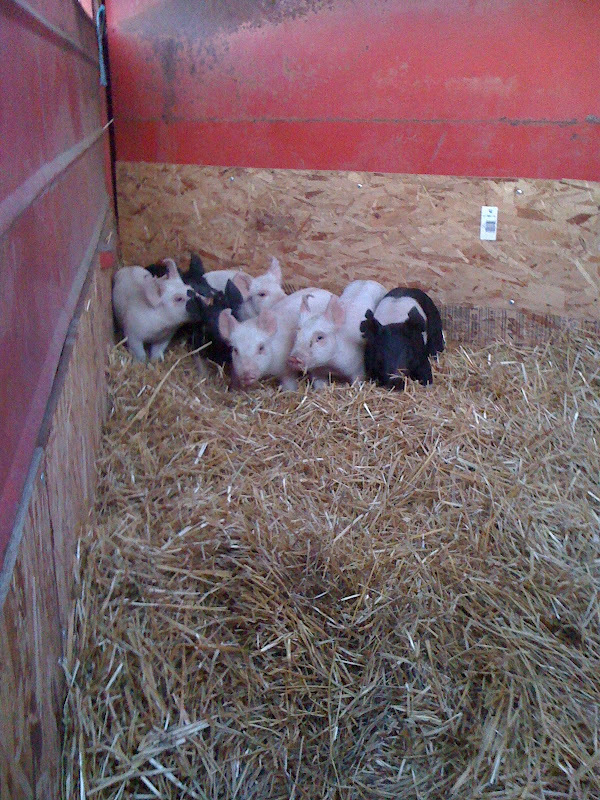 Last night, 7 piglets arrived. Nothing makes Ethan & Lily happier than a fresh batch of little piglets to chase and... chase. Don't these three little hamps look scared, all huddled in the corner? Poor things. But in a matter of 16 weeks, they will be 200 pounds, no longer adorable, and the ones doing the chasing. Once we had them transferred from trailer to pen last night, we were standing on the outside watching the pigs adjust to their new surroundings when all of a sudden I got slammed from behind by the gate to the trailer as the trailer was being driven away. A big, heavy, metal gate. It really hurt. And now I've got a huge knot, and a big bruise, and it pretty much hurts to breath or walk or live right now. And I'm feeling kind of wimpy today because of it. So, I'm putting the Parlor Hawk review off until tomorrow. 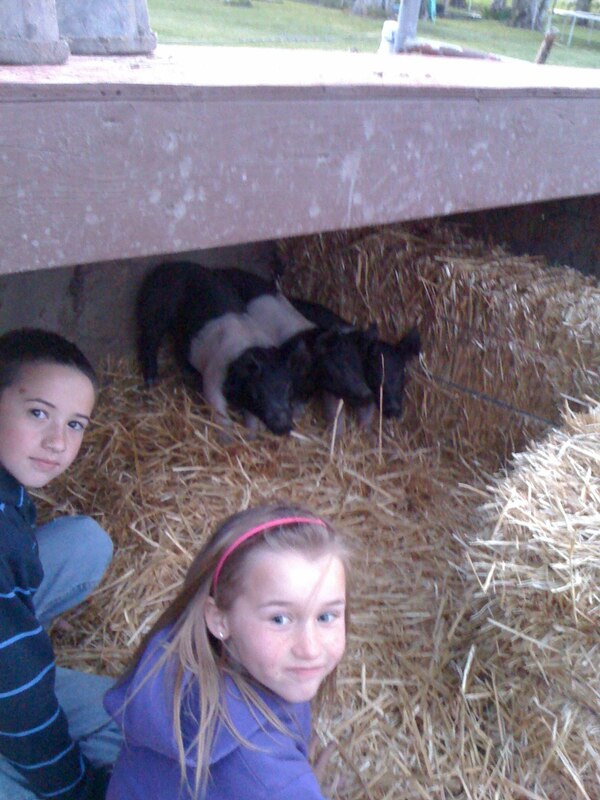 Our 4-H season has officially begun, and for the next few months we aren't just blueberry farmers, we're pig farmers too. Life is grand.